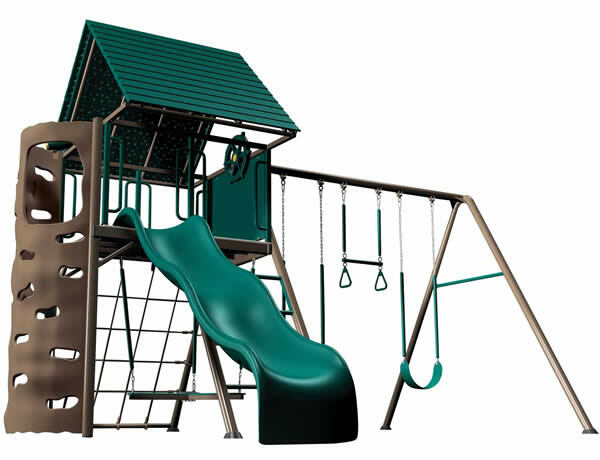 New to our inventory introducing our beautiful Mongoose Manor Deluxe Swing Set for your playground! 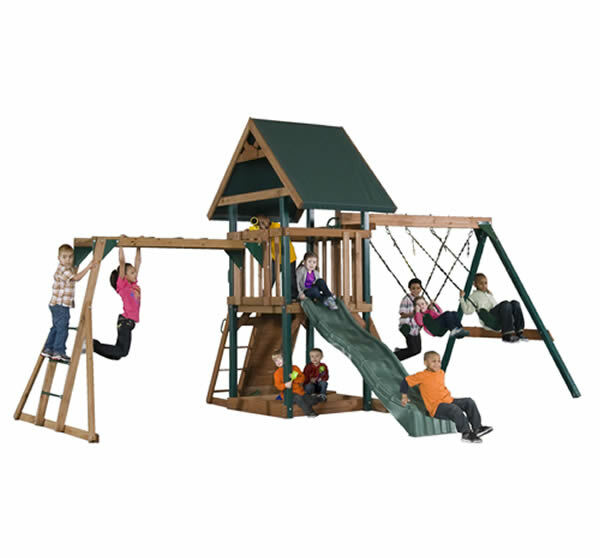 Constructed of high grade preserved pine and heavy duty hardware components, our Deluxe Mongoose Manor will beautify your backyard and give your children years of fun memories! 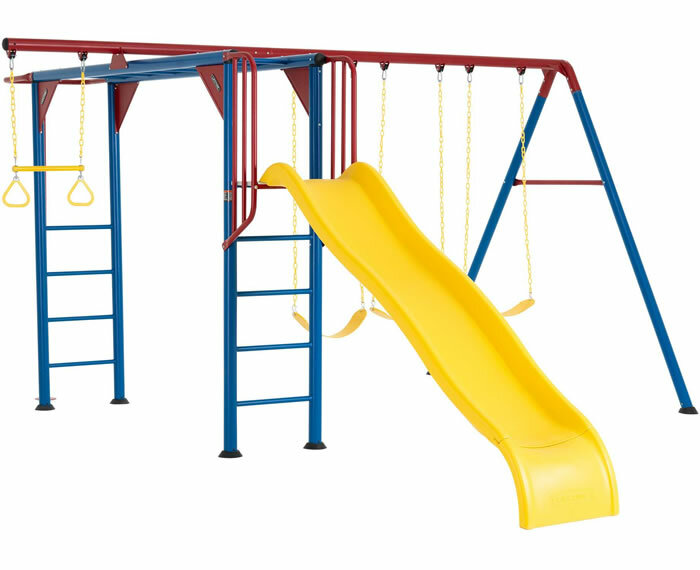 This swing set comes with many features including monkey bars that will keep your kids busy for hours at a time! 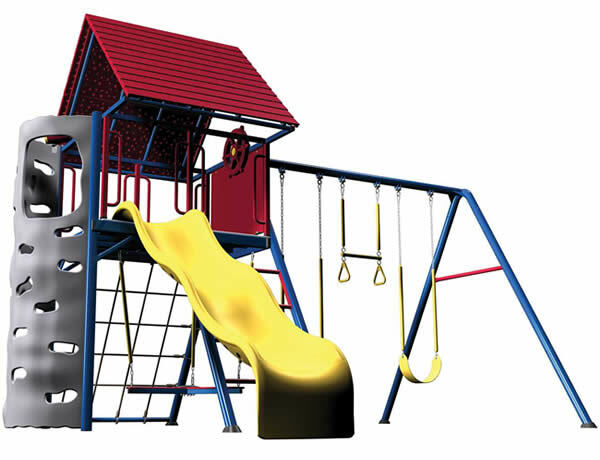 Add a new playground set to your storage shed order and complete that backyard once in for all! Assembled Total Weight: 625 lbs. 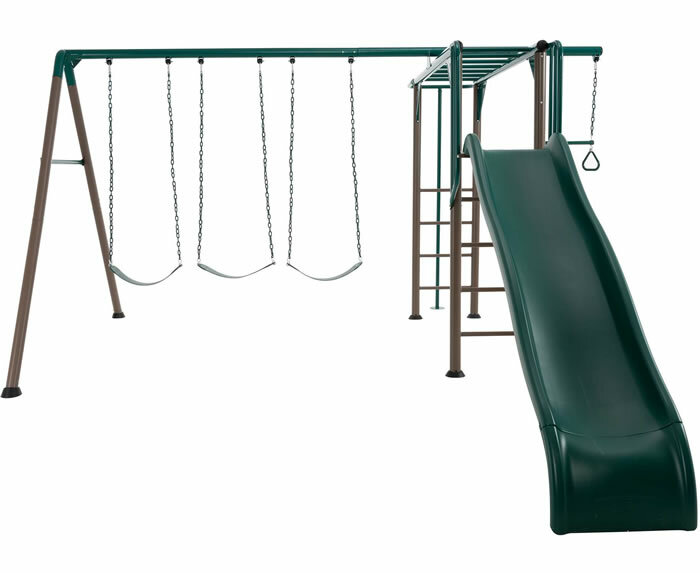 Shipping Dimensions: 8'L x 4'W x 16"H / 695 lbs. 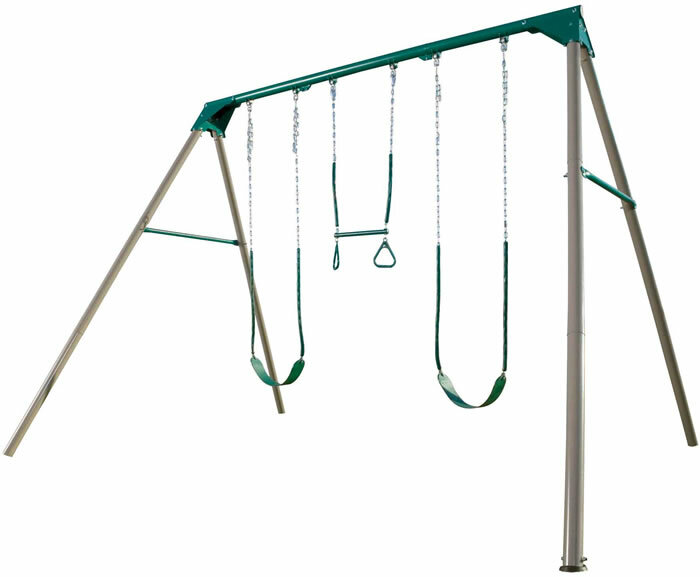 Available Options: Toddler Swing and Dual Glider. Add below!